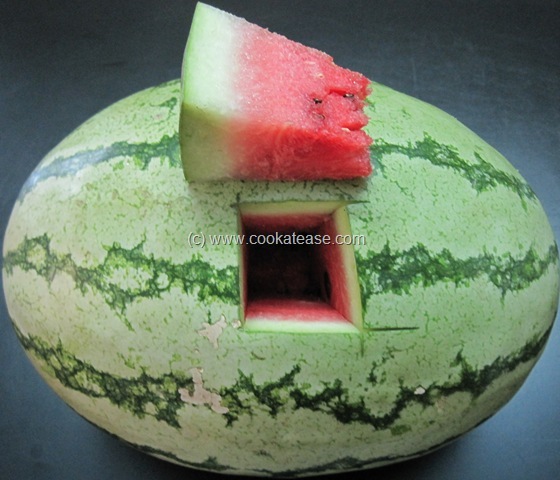 Watermelon is nature’s gift to face the summer. Watermelon, a type of melon contains 92% water. That is why diet watchers prefer to have this more. 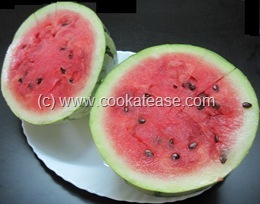 There are many varieties of watermelons i.e. 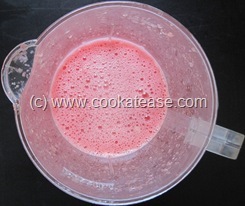 the inner colour may be pink, reddish yellow or orange. 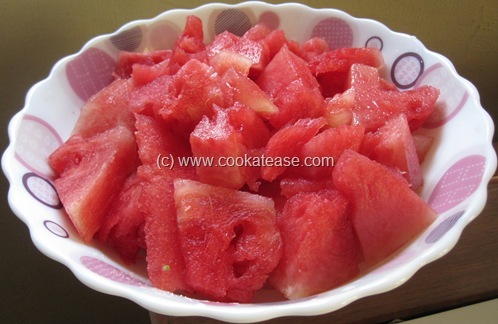 The rind (thick outer layer) of watermelon is very nutritive and can be used in curries and pickles. 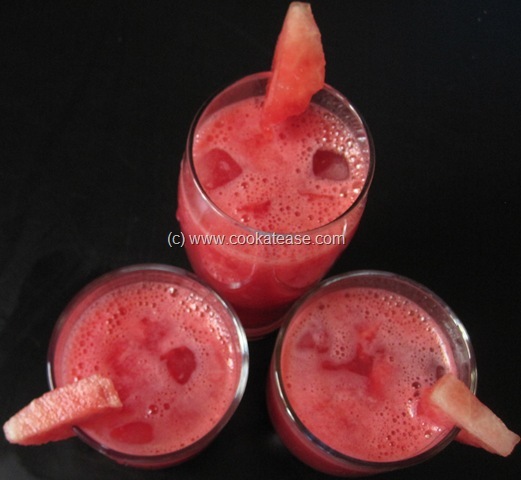 Watermelon contains vitamin C, beta-carotene and lycopene. 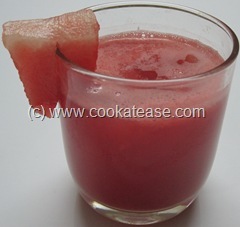 The juice of watermelon is a summer treat to quench the thrust. Watermelon is known as Tarbuz/Dharboos/Dharboosani in India. In Tamil Nadu, the seller cuts out a sample from the watermelon to show that watermelon is ripe. Peel and remove seeds from watermelon; cut into pieces, put them in a juicer jar, blend and filter. Add salt, pepper powder, honey and lemon juice. Mix and serve chilled. 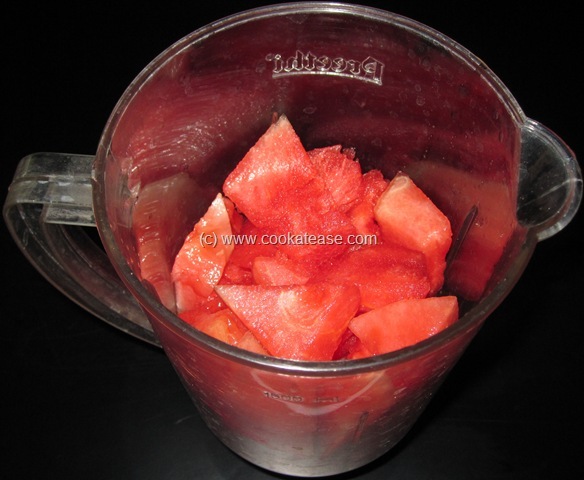 Adding pinch of salt and lemon juice improves taste and helps to absorb the nutrients from the fruit. We’ve just brought a huge watermelon and Im itching to have this..so healthy and refreshing esp with the soaring temps here!